Harmony Collection, Space Max Panels Collection, Dimensions: 48"W x 2"D x 66"H. Weight: 52 lbs. 2.25" extruded aluminum external frame. Internal wood frame with tackable board insert covered in foam. Two T-base feet included. Ships ready to assemble. 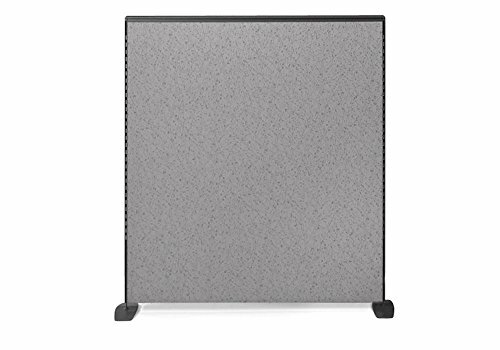 Space Max freestanding panel is constructed with a 2.25" thick extruded aluminum external frame and internal wood frame with tackable board insert covered in a layer of foam. Panel is finished with Pewter Haze designer fabric. Tackable panel features two aluminum end caps. Ships ready to assemble. Two T-base feet included. If you have any questions about this product by Harmony, contact us by completing and submitting the form below. If you are looking for a specif part number, please include it with your message.